On day three of the Royal Tour, Kate visited New Delhi before flying to Assam. 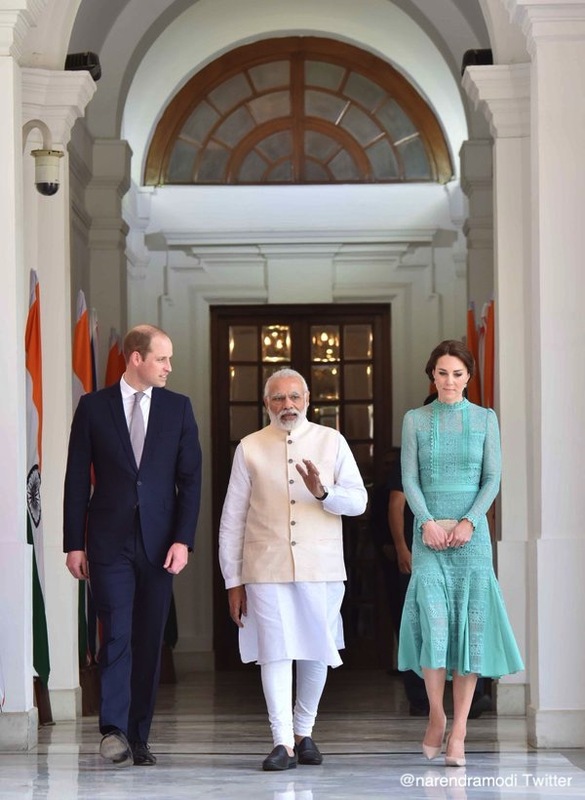 After spending the morning with street children, she changed into the Temperley London Desdemona Dress for a meeting with India’s Prime Minister, Narendra Modi. Later in the day, the Duchess wore the jade lace dress to a meeting with a group of inspirational Indian women. The Temperley London Desdemona dress features a high neck, fitted waist and fluted midi hem, which is accentuated with pleats. Temperley describe is exuding a “bohemian vibe”. It is made from 100% cotton. It is created from jade vintage-inspired lace, reminiscent of traditional Spanish folk costume. The dress has a feminine-yet-modern silhouette. You can preorder the dress on Temperley London’s website. Estimated delivery is between the 10th and 30th of May. 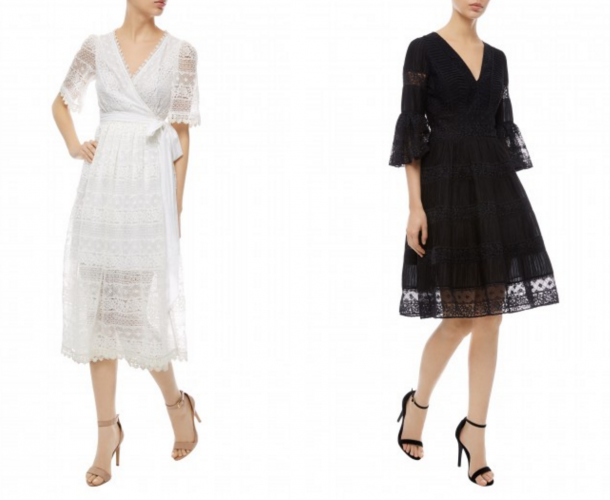 The Desdemona dress also comes in a long white wrap version (left) and a shorter style with flared sleeves (below right) – click here to view. 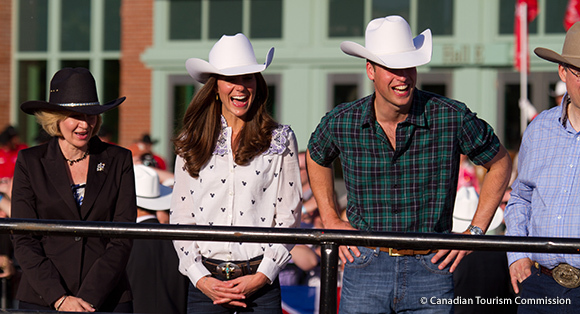 It’s safe the say that Temperley London is one of Kate’s most favoured designer labels. She regularly wears their clothing.